Welcome to TWAPilot.org. 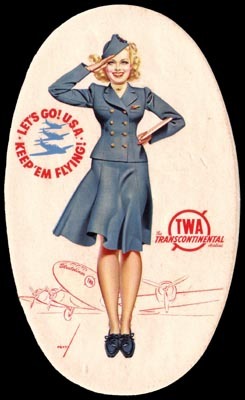 This website is dedicated to the thousands of men and women who flew as pilot and flight engineer for Trans World Airlines (TWA) over the seventy-six plus years of aviation history that TWA dominated and helped to shape. 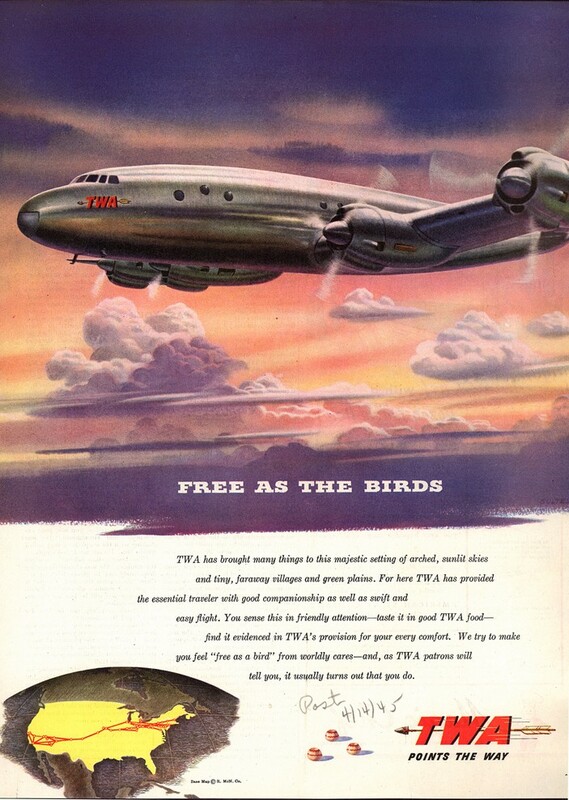 TWA, from the days of the Ford Tri-Motor to the days of the Boeing 747, was a leader in an exciting and growing industry. Her pilots were unsurpassed, and some of the best airmen to ever grace the skies above. Feel free to browse our photo gallery and access the useful links. If you were a TWA pilot and you would like to access our forums and chat rooms and talk with your former colleagues, please click on the forum tab above and sign in. Trans World Airlines , commonly known as TWA was one of America 's oldest, most respected and storied International Air Carriers of the 20 th Century and the dawn of commercial air travel. TWA goes all the way back to the early airmail delivery companies of the early 1920's. 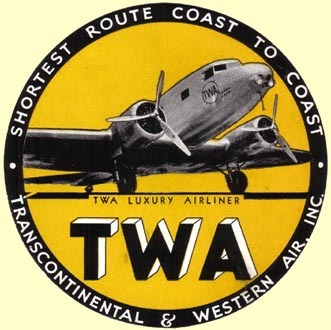 TWA traces her roots and her name all the way back to July 13, 1925 with the incorporation of Western Air Express ( WAE ) which flew Fokker Tri Motors around the Western United States . 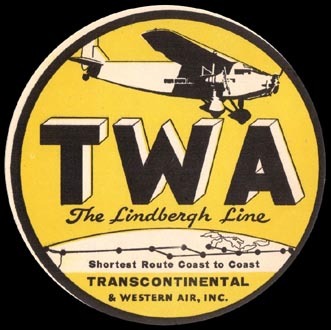 Transcontinental Air Transport ( TAT ) was incorporated in 1928 from a merger of Maddux , Transcontinental , Curtiss Aeroplane , National Air Transpor t and Wright Aero Corp . along with various others and started offering Coast-to-Coast service with its new Train-to-Plane service flying Ford Tri Motors. It was revolutionary and cut cross country travel time in half. During the late 1920's and early 1930's, famed aviator, Charles Lindbergh was instrumental in managing and helping to map out the early air routes of TWA . 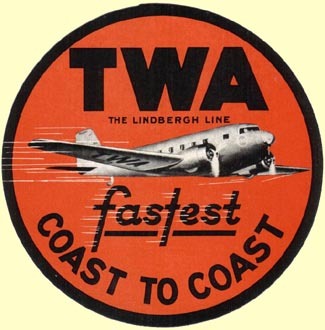 For a number of years during the 1930's, TWA was known as “ The Lindbergh Line .” On July 16, 1930, at the urging of Postmaster General Walter Brown, Western Air Express ( WAE ) merged with Transcontinental Air Transport ( TAT ) to become Transcontinental & Western Air , eventually known as TWA . 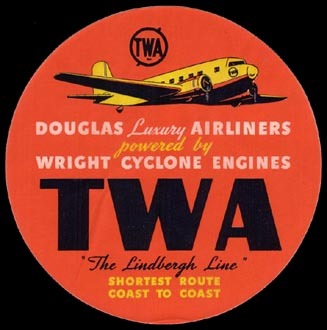 Shortly after the merger, the newly formed TWA received the Kansas City to Los Angeles Air Mail route and many more routes followed. In 1932, Transcontinental & Western Air led an aerial revolution by contracting with Douglas Aircraft to build a plane called the DC-1 that became the DC-2 that became the legendary DC-3. The plane could fly faster, higher and farther than any other commercial aircraft. It instantly rendered all other commercial aircraft obsolete. When President Franklin Roosevelt cancelled commercial airmail contracts in 1934, TWA president Jack Frye piloted the last commercial mail delivery on the newly assembled DC-3 across the country in a record time of just over 13 hours. 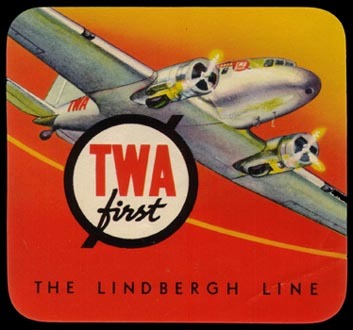 Known as the "pilots' airline," TWA continued to put to use the latest technology. In 1940, it introduced the Boeing 307 Stratoliner on coast-to-coast flights. The Stratoliner was the first pressurized airplane. It allowed smooth, high-altitude flight for the first time. 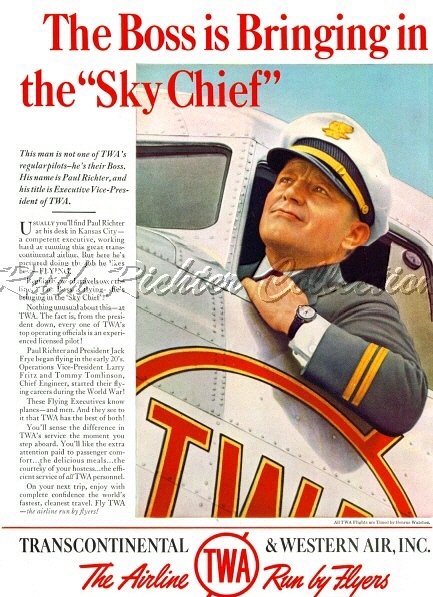 When aviation enthusiast Hughes became the principal shareholder of TWA in 1939, he personally directed a secret joint venture with Lockheed Aircraft. The resulting plane was the Lockheed Constellation or “Connie.” With its sleek, graceful fuselage, the "Connie" was widely adored for her appearance, as well as for her record-breaking speeds. 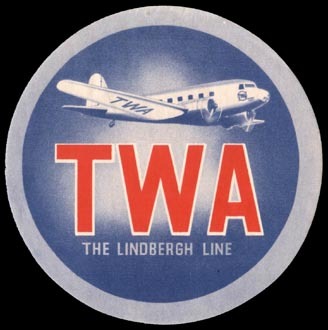 During World War II, TWA gained valuable international flying experience covering routes across the North and South Atlantic . 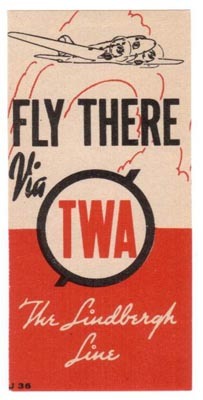 After the war, TWA continued to fly her European routes. 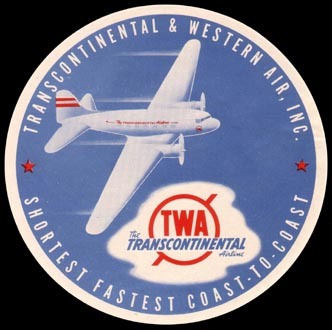 To announce its new status as an International Airline, Transcontinental and Western Air re-named herself Trans World Airlines ( TWA ) in 1950. TWA customers benefited from a series of innovations designed to increase passenger comfort. By this time, TWA had already been first to introduce in-flight passenger audio by offering individual listening devices for commercial radio programs. In 1961, TWA would offer passengers the luxury of in-flight movies for the first time ever. 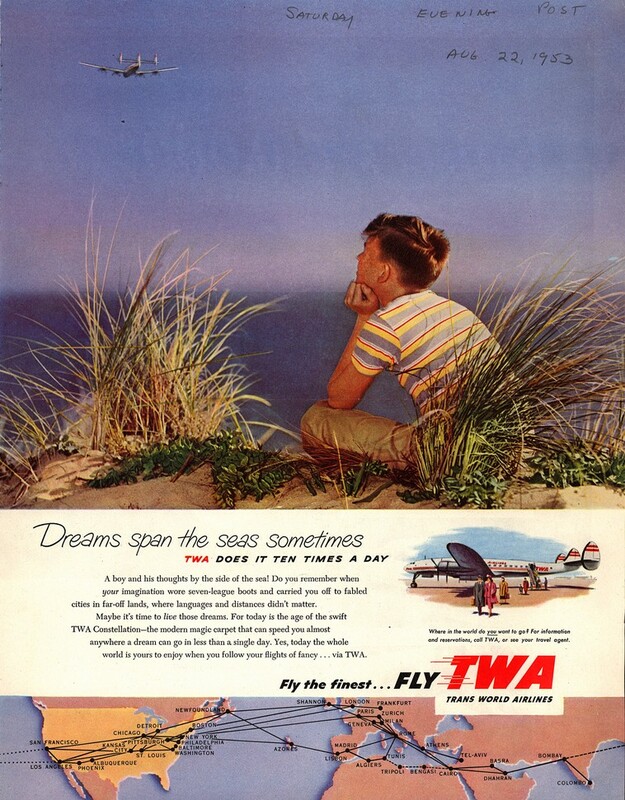 As other airlines began to embrace the jet age in the late 1950s, TWA followed suit by purchasing a fleet of Boeing 707s to fly domestically between New York , Los Angeles and San Francisco , and internationally between New York and Europe . In 1970, TWA became the first airline to offer domestic 747 service when it inaugurated nonstop service between Los Angeles and New York . 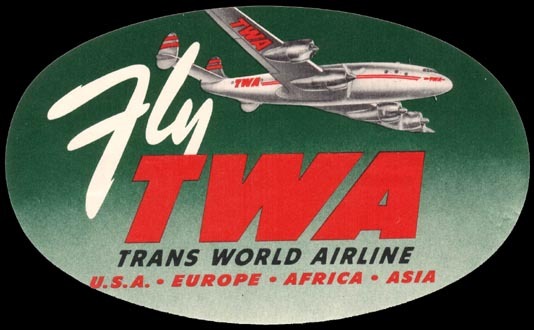 TWA helped pioneer and maintained Around-The-World service flying all across North America, Europe and Asia. 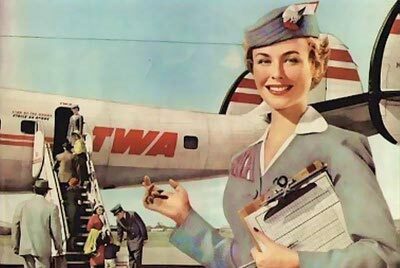 Deregulation was not kind to TWA . Operating a wide array of domestic and international routes, TWA proved an attractive target. In 1985, corporate raider Carl Icahn beat out Frank Lorenzo to win controlling interest in TWA . In 1986 Carl Icahn used TWA to buy Ozark Airlines . 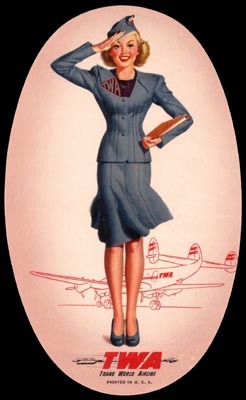 All Ozark employees were given jobs at TWA with their full “date of hire” seniority from Ozark Airlines . Icahn took the company private in 1988, a move which burdened the airline with large amounts of unsustainable debt. To offset its financial troubles, Icahn began selling off TWA 's routes to other airlines. Routes to London from various American gateways were sold to American Airlines and USAirways . The losses continued, however. In 1992, the airline filed for bankruptcy, but managed to continue to stay afloat. 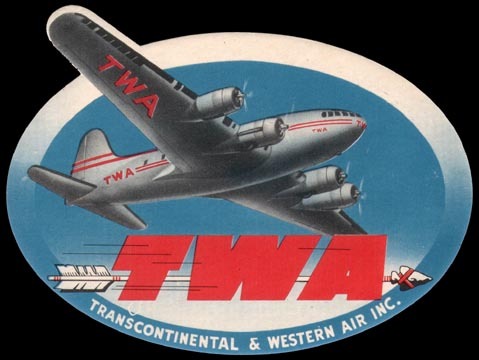 TWA emerged from bankruptcy but remained a mere shadow of her former self and in early 2001, TWA - the airline which began life as Transcontinental Air Transport (TAT) almost 76 years earlier - was finally sold to American Airlines . TWA was for many years the largest airline in and out of New York . Yours truly, had the honor of flying as Captain, the last TWA departure out of New York's John F. Kennedy (JFK) airport. I flew aircraft 9624 from JFK to St. Louis on August 24, 2001. TWA flew her last flight under her own name and call sign on December 1, 2001.